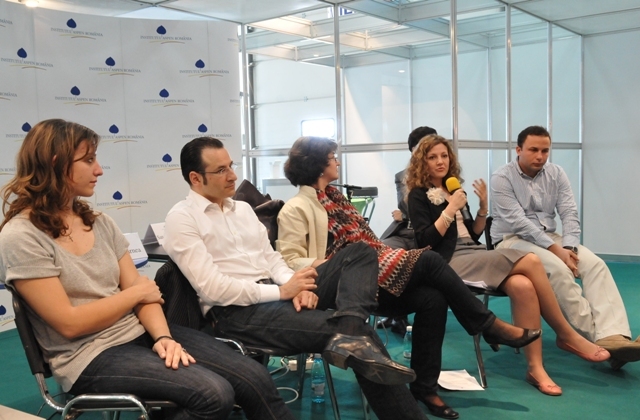 The Aspen Institute Romania organizied on May 14 2011, a series of debates on the educational and development opportunities as well as civic and community change making ideas. The debates took place during the Education Forum 2011, a national platform for interaction and debates for all actors involved in the educational system. One of the most significant contribution the Aspen Institute has made in these aspects is the Young Leaders Program, a leadership program designed to promote and advance progressive leadership in our societies. The Programaadresses young people between the ages of 25 and 35 that have achieved significant professional positions and accomplished results within their area of activity. The Program has a regional focus with participants from countries like Armenia, Azerbaijan, Bulgaria, Croatia, Georgia, Hungary, Kosovo, Macedonia, Republic of Moldova, Romania, Serbia or Turkey. As speakers for the following debates, some of the Young Leaders Participants will share their views on the topics and their experiences within the Young Leaders Program, interacting with the public in a discussion moderated by two Aspen Romania moderators, Ms. Sandra Pralong, Founder of Synergetica Foundation and Mr. Marian Stas, President of the Codecs Foundation for Leadership.